Marie B. 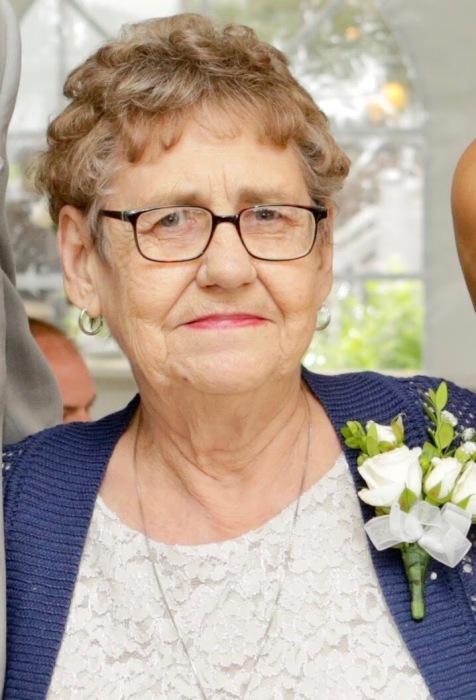 “Chick” (Norton) Cathy, 79, of Auburn passed away peacefully with her daughters at her side, on Friday, March 15, 2019 at Rochester General Hospital. Marie, who was affectionately known as “Chick” to her family, was born in Oneonta on July 18, 1939, the daughter of the late Chauncy and Ann Hoffman Norton. Chick was devoted to her family, providing love and support to her daughters , grandchildren and great-grandchildren. Chick was a volunteer for many years at the St. Mary’s food pantry as well as at Mercy Health & Rehabilitation Center. She is survived by her loving and devoted family, her daughters, Deborah (Don) Dennis and Dawn (Robbie) Gross, her grandchildren whom she loved dearly, Louis Giovannini, Dawn Giovannini, Jesse Dennis, Sophie Dennis Riskie, Andrea Giovannini, Brian Giovannini and Danny Dennis, her beloved great-grandchildren, Emma, Ben, Anna, Tyler, Dominic, Annabella, Arianna, Angelo and Sicily. Chick is also survived by her siblings, Cynthia Tanner and William Norton, her cousin Jody Courtemanche, who was like a sister to her. Marie was predeceased by her grandson Tyshon James Giovannini in 2002. A Mass of Resurrection will be celebrated on Wednesday at 11 AM at St. Mary’s Church, visitation will be held one hour prior to mass, from 10-11 AM at church. Chick will be buried at Weedsport Rural Cemetery at a later date. Donations in memory of Marie B. Cathy, may be made to Hospice of the Finger Lakes, 1130 Corporate Dr, Auburn NY 13021. Arrangements are with White Chapel Funeral Home, 2719 Erie Dr, Weedsport.